After early calls to shut down a Spanish file-sharing site were dismissed, music industry group SGAE pinned its hopes on success at the full trial. But, the outcome for them was nothing short of a disaster. The judge declared that both non-commercial file-sharing link sites and non-profit use of P2P networks are legal in Spain. 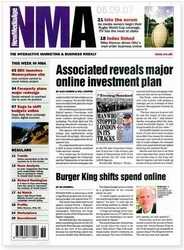 Despite many rulings which have declared file-sharing sites legal if they don't profit directly from copyright infringements, in recent years its become something of a custom in Spain for music rights groups to attempt to close down sites in advance of a full hearing to assess their legality. One such case involves eDonkey link site elrincondejesus.com. Back in May last year, site and bar owner Jesus Guerra received a complaint from music group SGAE (Sociedad General de Autores y Editores) which alleged the site abused the copyrights of its members. Judge Raul N. García Orejudo threw out the request for an immediate closure of the site in July, declaring: P2P networks, as a mere transmission of data between Internet users, do not violate, in principle, any right protected by Intellectual Property Law. In order to assess if there had been a breach of Spain's Intellectual Property Act, the court had to decide if simply providing links to copyrighted works was the same as making those works available to the public. Judge Raul N. García Orejudo decided that offering an index of links and/or linking to copyright material is not the same as distribution and noted that under current law there is nothing which prohibits such sites from operating. The outcome of this case is such bad news for SGAE it's expected they will appeal the decision. Or get the law changed. Or both. A New Zealand anti-piracy measure that includes a three-strikes plan of attack against copyright infringers has been introduced to Parliament. The Copyright (Infringing File Sharing) Amendment Bill proposes an amendment to the Copyright Act of 1994 by repealing section 92A, which would have allowed the termination of infringer's ISP accounts with no court action. The new legislation would require ISP's to provide three warnings to infringers before copyright holders are able to bring the matter before a Copyright Tribunal, which would have the power fine an infringer up to $15,000. Copyright owners will also have the ability to request that a District Court terminate an infringer's ISP account for up to six months. The bill's main backer, Commerce Minister Simon Power, said that the legislation … puts in place a fair and balanced process to deal with online copyright infringements occurring via file sharing. He added, It's important that account holders are given a reasonable time to stop infringing before enforcement takes place. Power hopes that the bill can be passed into law sometime this year. Microsoft has rescinded the copyright complaint that resulted in the shutdown of the long-standing whistleblower website, Cryptome.org, after it published Redmond's spy guide for law enforcement. The company said it has asked Cryptome's ISP, Network Solutions, that the website be restored and that it no longer wants the offending document to be killed. On Wednesday, Cryptome hosted a 22-page PDF that outlines what information Microsoft gathers about its users and what can be handed over to authorities if required. 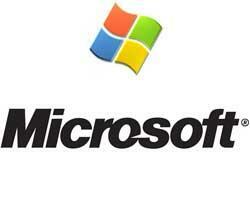 Microsoft lawyers swung the US Digital Millennium Copyright Act (DCMA) in an attempt to force Cryptome to pull the document. When it refused to take action, Microsoft complained to Network Solutions, which not only closed the website, but placed a lock on the Cryptome.org domain to keep it closed. 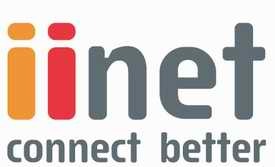 Network Solutions confirmed it has received the withdrawal notification and has restored access to the website. 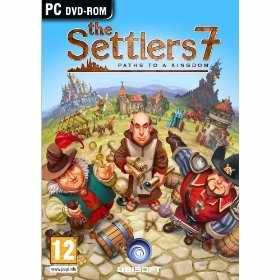 With the beta for Settlers 7 , Ubisoft is unveiling a new anti-piracy measure that will require gamers to log into their Ubi.com account in order to authenticate their play session. Ubisoft does not have the best history when it comes to invasive—if not downright broken—DRM, but the company's upcoming solution to game piracy is much worse than anything we've seen in the past. The gist is simple: every time you want to play your game, it has to phone back to Ubisoft before giving you permission to play. No Internet connection? You're simply out of luck. If you're annoyed when you have to show your receipt to someone when you walk out of an electronics store, Ubisoft is not the company for you. This is like having to show your receipt every time you want to turn on your television. If your Internet goes out, if you're on a flight with no wireless or don't want to pay the fee, or if you're at a hotel that only offers for-pay Internet, you aren't going to be able to to play your games. 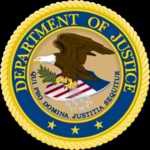 US Attorney General Eric Holder Friday gas announced the creation of a Justice Department Task Force on Intellectual Property as part of a new initiative to tackle piracy. The rise in intellectual property crime in the United States and abroad threatens not only our public safety but also our economic well being, Holder said in a statement. The Department of Justice must confront this threat with a strong and coordinated response with federal, state and international partners. The task force's focus will include issues of piracy that concern Hollywood, as well as issues that affect software companies, such as security and privacy. It will include representatives from various Justice Department offices, including the FBI and the executive office for U.S. attorneys. It also will work with federal agencies such as the Department of Homeland Security and the Federal Communications Commission. 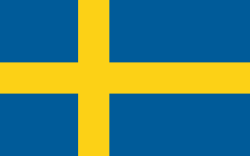 Swedish police and prosecutors are heading up a new specialist team of investigators to deal with infringements. Team members will be designated their own areas but will also be able to operate nationally. The new unit will consist of nine specially trained investigators forming three groups operating out of Stockholm, Gothenburg and Malm? working under Paul Pinter, Stockholm County Police's National Coordinator in the Intellectual Property Crime division. 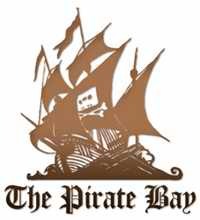 A Norwegian court has rejected a record industry appeal against telecoms operator Telenor for refusing to block access to popular file sharing website The Pirate Bay, a plaintiff has said. The Oslo court of appeal said that it is not currently possible, under Norwegian law, for a judge to order an Internet service provider to halt traffic to websites from which illegal downloading happens. In the spirit of the law on intellectual property, Telenor does not contribute to behaviour that is reprehensible or could be subject to awarding compensation by letting its customers access The Pirate Bay. Before the case was first heard in November last year, Telenor argued that it refused to implement what it called censorship: You cannot sue a ladder manufacturer because someone used one of his ladders to commit a burglary, Atle Lessum, a spokesman for Telenor, told the newspaper Verdens Gang before the hearing. loggers told they have violated terms without further explanation, as years of archives are wiped off the internet. In what critics are calling musicblogocide 2010 , Google has deleted at least six popular music blogs that it claims violated copyright law. These sites, hosted by Google's Blogger and Blogspot services, received notices only after their sites – and years of archives – were wiped from the internet. Google d product manager Rick Klau explained: When we receive multiple DMCA complaints about the same blog, and have no indication that the offending content is being used in an authorised manner, we will remove the blog . [If] this is the result of miscommunication by staff at the record label, or confusion over which MP3s are 'official' ... it is imperative that you file a DMCA counter-claim so we know you have the right to the music in question. Following a lengthy legal procedure the Court of Bergamo has once again ruled that Italian ISPs have to censor their networks and prevent customer access to The Pirate Bay. Millions of Italian Internet users will be denied access to the popular torrent site in an attempt to prevent copyright infringement. The Pirate Bay was first censored in Italy in the summer of 2008, when ISPs were ordered to prevent millions of Italians from accessing the world's largest BitTorrent tracker. The Pirate Bay chose to appeal the decision and eventually won the court case. The Court of Bergamo ruled that no foreign website can be censored for alleged copyright infringement and the block was lifted temporarily as the case was appealed once again. A few weeks ago the Supreme Court reviewed the case and ruled that ISPs can be forced to block BitTorrent sites, even if they are not hosted in Italy or operated by Italian citizens. According to the decision by the Supreme Court, sites offering torrent files that link to copyrighted material are engaging in criminal activity. This week the case once again appeared before the Court of Bergamo where it was decided that all Italian ISPs will have to deny their customers access to The Pirate Bay. According to their lawyers The Pirate Bay is still considering whether to appeal this decision or not. Aside from appealing to the Supreme Court, the Pirate Bay's legal team is also considering bringing the case before the European Court of Justice. I find that the mere provision of access to the internet is not the 'means' of infringement, said Federal Court Justice Dennis Cowdroy: If the ISPs become responsible for the acts of their customers, essentially they become this giant and very cheap mechanism for anyone with any sort of legal claim. The BBC claims that plans by Freeview broadcasters to apply digital rights management to high-definition television content is light-touch , as Ofcom launches a second public consultation on the matter. The regulator's first public consultation was made back in September. Ofcom said it got a large number of responses that raised a number of potentially significant fair use and competition issues. Second time around, the basics of the proposal haven't actually changed, but the BBC is hoping that a little coaxing will get naysayers to come around: The proposed Freeview HD content management approach is so 'light-touch' that some have argued that it is not worth having, writes Graham Plumb, the head of distribution technology at the BBC, in a blog post on the BBC's site. One of the proposals in the UK plan would be for Ofcom to restrict HD programming information only to receivers that have been implemented for DRM. Question: what do McDonald's, Monsanto and Trafigura have in common? Answer: they've all been accused of routinely administering SLAPPS. These are Strategic Lawsuits Against Public Participation — forms of strategic legal intimidation or gamesmanship employed by large corporations against their critics in order to frighten and harass them, and tie them in legal knots. Such actions are also designed to demonstrate to would-be critics the fate that awaits them should they dare to publicise their views. That SLAPPS frequently involve threatening to sue critics for libel makes it particularly important that Index, Sense about Science and English Pen have followed the example of some Australian states and proposed limiting the ability of corporations and associations to sue, unless they can prove malicious falsehood. Nearly a third of children aged six to 14 admit regularly watching programmes illegally, either by streaming them to a television or downloading them, a survey published yesterday found. Shows like Glee, Heroes, Lost and House can be downloaded from the internet and played back on a television or computer hours after they are broadcast in the United States. 16% of the 4,347 children surveyed also said they download pirated films before they are released. We were incredibly surprised by how young these children are — for six-year-olds to be downloading is astonishing, said Justin Pearse, editor of in New Media Age magazine, which commissioned the survey: Copyright and legality don't seem to be a barrier for kids — if they want to see something before it's on TV or DVD, they'll just get it online . A new Internet law to curb piracy was proposed by the Spanish government according to which judges will have the power to ban websites that offer downloads of movies, music and other forms of entertainment illegally. Speaking at a news conference, Justice Minister Francisco Caamano said that a judge's order was necessary for this decision to be taken quickly within four days after all sides have been heard. The new draft, however, needs an approval by the parliament before it is brought into effect. When the law was initially proposed in November, a judge's order was not necessary and websites offering illegal downloads could be blocked or shut down by a new regulatory body. This was met by protests from Internet users and bloggers who said that the government could use the law to censor content on websites. The first effects of France's new law against internet piracy will begin to be felt as the new year begins. Illegal downloaders will be sent a warning e-mail, then a letter if they continue, and finally must appear before a judge if they offend again. The Creation and Internet Bill set up a new state agency - the Higher Authority for the Distribution of Works and the Protection of Copyright on the Internet (Hadopi). The law was backed by President Nicolas Sarkozy and the entertainment industry. France's controversial three-strikes law aimed at taking down illegal downloaders appears to have suffered a delay while the government seeks mandatory approval of the law from an independent authority. France needs an opinion from the Commission Nationale de l'Informatique et des Libertés (CNIL) to enact the law writes Paid Content. So far, CNIL has chosen not to issue a decree, reports La Tribune, thus effectively blocking the implementation of the law, which was scheduled to be put into motion this month. This could mean a delay of three months until the law, also known as the Hadopi Law, is enacted.